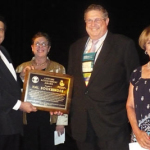 The International Association of Jewish Genealogical Societies bestowed four awards for 2010, recognizing outstanding individual and organizational contributions to Jewish Genealogy. 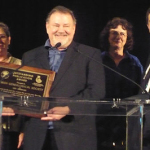 These awards were presented by Anne Feder Lee, Jackye Sullins and Michael Goldstein, during the banquet held in conjunction with the 30th IAJGS International Conference on Jewish Genealogy in Los Angeles, California, Thursday 15 July 2010. 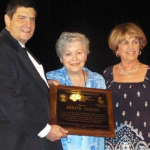 This award is given in deep appreciation for your many contributions to the world of Jewish genealogy. 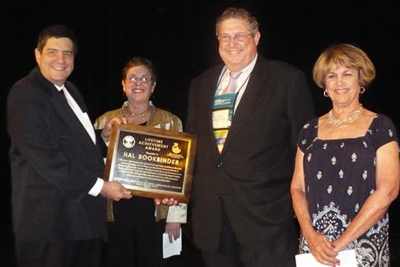 For over 20 years you have demonstrated your dedication to helping all Jewish family researchers through your leadership at annual conferences, as a Director and President of the International Association of Jewish Genealogical Societies, as creator and editor of the Jewish Genealogy Yearbook, and as author of numerous articles and presentations on a wide range of genealogy topics. 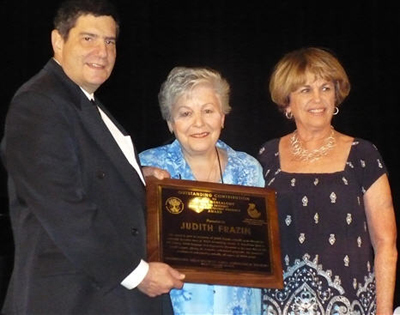 This award is given in recognition of Judith Frazin’s valuable guide through the seemingly by zantine maze of Polish documentary sources. A Translation Guide to 19th Century Polish-Language Civil-Registration Documents is far more than its title would suggest, offering the researcher well-indexed geographic and functional assistance to understanding virtually all aspects of Polish records. 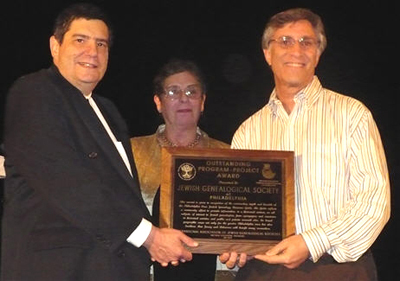 This award is given in recognition of the outstanding depth and breadth of the Philadelphia Area Jewish Genealogy Resource Guide. 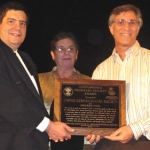 The Guide reflects a community effort to provide information, in a historical context, on all subjects of interest to Jewish genealogists, from synagogues and cemeteries to historical societies and public and private research sites. Its broad geographic scope, not only for the greater Philadelphia area but also for southern New Jersey and Delaware will benefit many researchers. 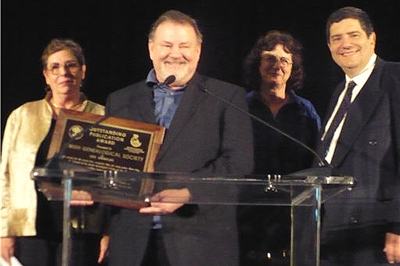 This award, for the second time, recognizes that, for many years, Roots-Key, the Journal of the Jewish Genealogical Society of Los Angeles, has been consistent in providing original articles and book reviews with high quality insight into world-wide and functional aspects of Jewish genealogy, not only to genealogists in Los Angeles but also to the broader Jewish genealogy community.